Last week, I drove the the new Ford F-150 pickup at the media launch, and I’ve got to say that this half-ton which will step into the #1 vehicle spot in the nation is more than just a worthy successor. It is a real game changer. For starters, let’s stop calling this the aluminum pickup truck. 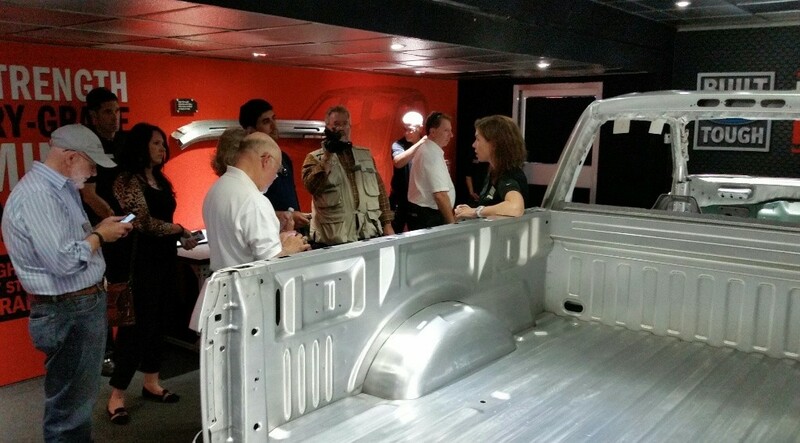 It tends to cause more confusion than it should, and — while it is certainly unique in the pickup truck category — aluminum has been around for a long time and proven its mettle (no pun intended). It’s most obvious advantage is that it removes weight and increases fuel efficiency, but that is not the only things on which a pickup should be judged. Yes, the body panels and box on the new F-150 are made from military-grade aluminum for lighter weight, but the truck still looks like a Ford pickup, and it doesn’t bear a sign that says ‘wimpy, wimpy, wimpy’ that will draw the ridicule of your most macho friends because it is primarily aluminum and not steel. The military grade refers to the 5,000 to 6,000 series of aluminum alloys that are stronger by weight than common steel and the panels are thicker for dent resistance with dramatically less weight. What is most apparent from looking at this truck is that it is a Ford F-150 through and through. Only better. It hauls more, tows more and has probably had more durability testing than any pickup in history. 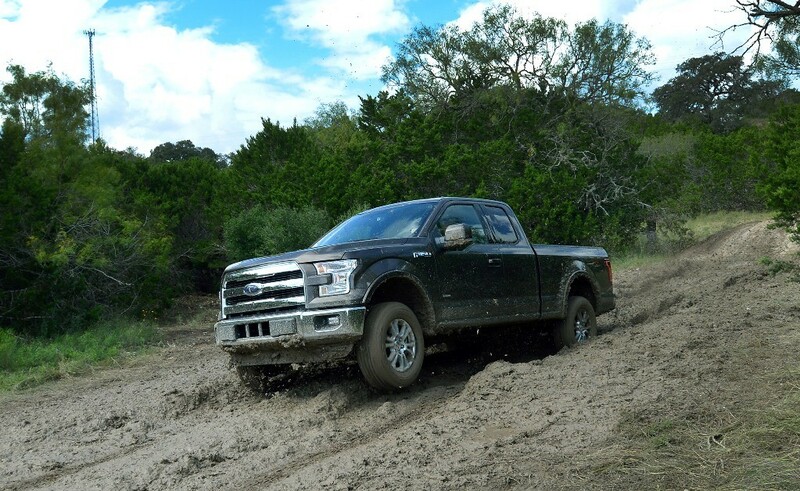 The new F-150 relies on a completely redesigned high-strength steel frame that is stiffer and more rigid. Made from 78% 70,000 psi high-strength steel rather than the 23% in the previous edition, the beam was re-engineered to save about 60 lbs. in weight. An additional crossmember has been added to the seven in the earlier F-150, and five of the crossmembers go through the frame rails on both sides to create an exceedingly strong structure. They are then welded on both sides for added strength. Because the manufacturing process uses tailor-rolled steel blanks it is possible to create variable thicknesses in the frame rails. That translates to more steel thickness where it is needed and less where a thinner profile allows for both strength and weight savings. In most cases, you cannot even see the difference but the result is quite amazing. The familiar box construction, first introduced in 2004 by Ford, is still used for the rails, but at the front ends are 12-corner crush horns designed to absorb energy. To visualize this, think of a square in which the corners are replaced by 90-degree l-shaped notches (like small Ls) at each of the four corners. This makes each corner stronger. High performance coating on the frame rails and crossmembers is thicker than before for corrosion resistance. Atop the new frame, the aluminum alloy body and box have been tempered through a proprietary heat treatment that makes components like the A-pillar tubes and SuperCrew B-pillar parts stronger. The entire body and box are lighter than ever before, subtracting several hundred pounds from the truck’s weight. Multiple processes, including hydroforming and extrusion, are used where appropriate and a combination of riveting and bonding assures that all contact points have added strength and durability. The box is more resistant to dents and other damage and structural reinforcements have been put inside the box walls to accommodate accessories. 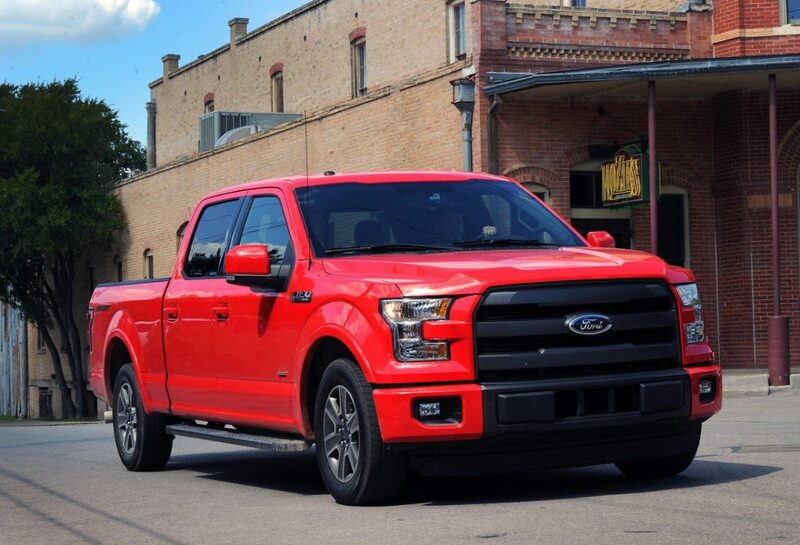 The standard engine for the 2015 F-150 is the 3.5L TI-VCT V6, which is familiar to those with Ford F-150 trucks. It is a well-established base line with 283 hp and 255 ft.-lb. of torque. Flex-fuel capable, it offers a 1,910 max payload and 7,600 lb. max towing with an optional tow package. The other two engines that have been available before are the 3.5L EcoBoost, which has become a favorite of almost half of F-150 buyers with 365 hp and 420 ft.-lb of torque, and the 5.0L TI-VCT V8, with 385 hp and 387 ft.-lb of torque. The 3.5L ECOBOOST offers best-in-class towing of 12,200 lbs. according to Ford. 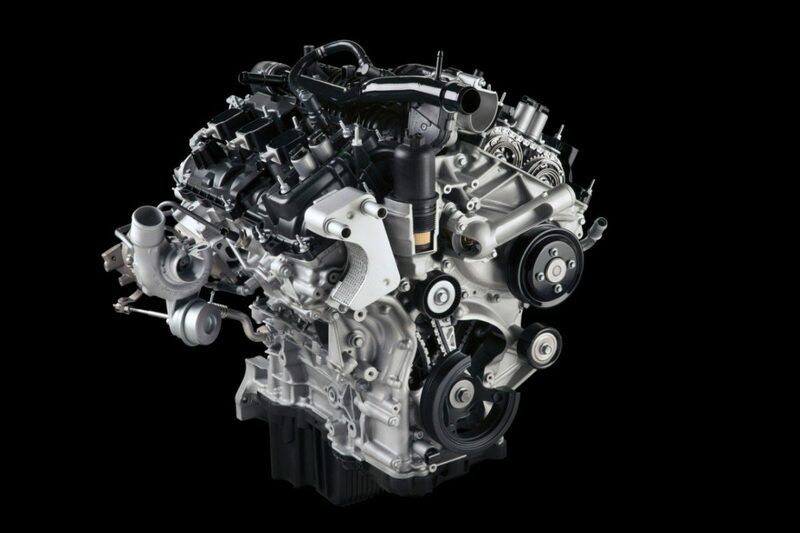 New for 2015, is the impressive 2.7L EcoBoost engine with 325 hp and 375 lb.-ft. of torque. With a properly equipped F-150 model, it is rated at 2,250 lb. max payload and 8,500 lb. max tow load. Fuel efficiency numbers have not be released by the EPA as yet, but I expect they will be outstanding since Ford is not taking unnecessary risks with the new F-150. The new engine is impressively small and has been designed to meet specific truck specs. It also features auto start/stop technology (disabled when in tow or 4×4 mode) for the best possible mpg numbers. Ford told me that they expect more than 25% of new F-150 trucks to be specified with the new engine — numbers that are clearly advised by the nearly 50% of F-150s now ordered with the 3.5L EcoBoosts. 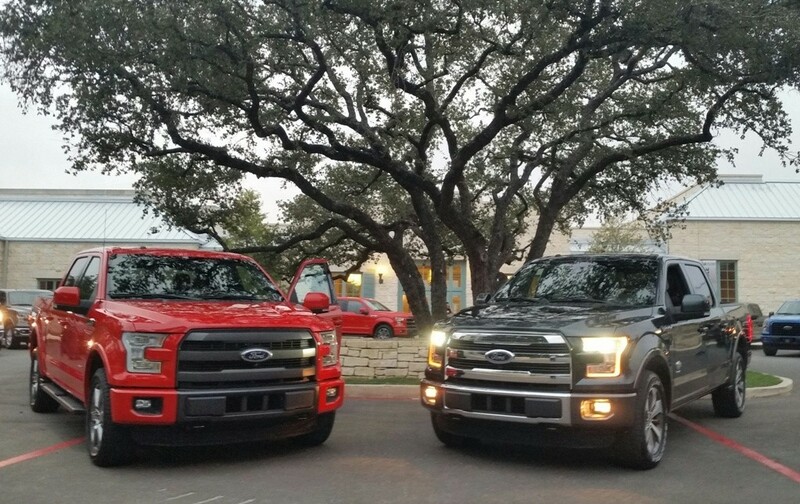 The 2015 F-150 was built with towing in mind. Trailer sway control, hill-start assist, transmission tow/haul mode, a productivity screen with new towing apps and a smart trailer tow connector all standard. Available additions include dynamic hitch assist, SelectShift automatic transmission with progressive range select, integrated brake controller and a choice of manual and power telescoping trailer tow mirrors. 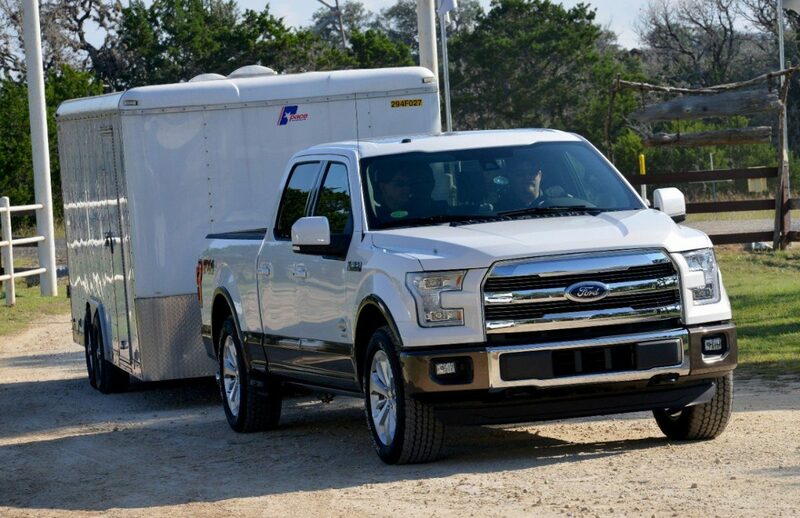 With the new 2.7L EcoBoost engine and the trailer tow package, the new F-150 can tow a 25’cruiser with trailer weighing in a 8,068 lbs., an 8,200 lb. 28-foot RV or a 100 kw (8,470 lb.) generator. Designed for tow weights over 5,000 lbs., it adds an auxiliary transmission oil cooler and upgraded stabilizer bar, and is available for all engines. For the 3.5L Ti-VCT there is also an engine oil cooler with this package. For the 3.5L EcoBoost, which can tow anything up to 12,200 lbs., a 3.55:1 electronic-locking rear axle and integrated brake controller and upgraded rear bumper are available in the max trailer tow package. For towing up to 5,000 lbs., the Class IV trailer hitch has a smart trailer tow connector and 4 pin/7 pin wiring harness. It is standard on XLT mid grade and up and is available on XL or XLT base. We had a chance to tow closed dual axle box trailers loaded with 9,900 lbs. 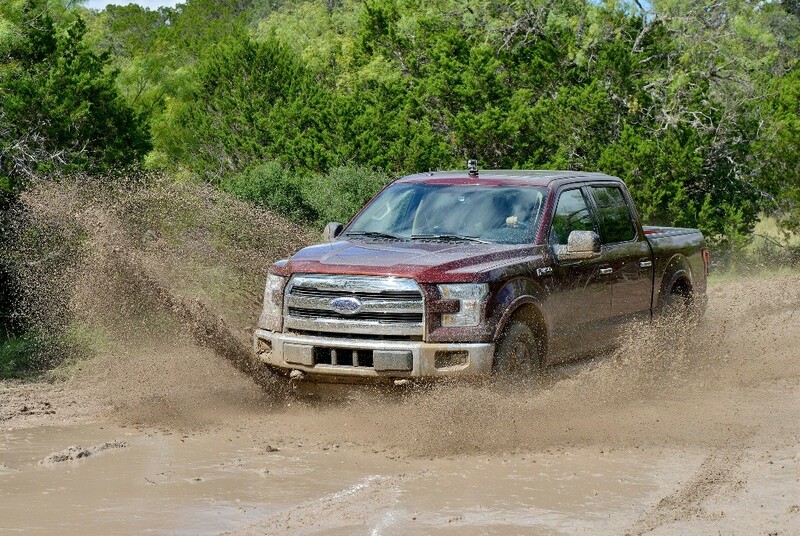 using the new F-150 Lariat with a 5.0L V8 and found it to be a great performer on a range of Texas roads. It was maneuverable and agile in the twists and turns and I would be more than satisfied if it were mine. I suspect that I would have preferred the 3.5L EcoBoost for this task since I have really enjoyed towing with it in the past. While we had a chance to drive competitive pickups at this launch drive, I stuck with the new F-150s since I invariably run out of time and wanted to focus specifically on them. I have also driven the competitors trucks with and without tow loads and was comfortable using my memory to evaluate their relative benefits. My first assignment was to do a sprint drive (drag race to you) followed by an obstacle challenge on a closed course to test acceleration and agility. In both cases, I was not disappointed in the results. I placed fourth out of about 20 journalists in the acceleration exercise and really put the pedal to the metal. I remember one of the monitors telling me to floor it as I took off for the sprint. Taking the results into an actual drive situation, I know that — whichever engine my truck had — I would never have a problem accessing an entrance ramp or passing on a highway when I had to. Avoiding those ragged semi-tires would also be relatively easy, even with a loaded trailer. I had time to do these tests with trucks equipped with all four engines and would be satisfied with any of them. The next day we had the opportunity to drive all kinds of roads in the San Antonio area. Nothing was missed, from hilly and twisting two-lanes to the highway, gravel and dirt roads, and a relatively-challenging off-road experience with plenty of hill climbing, water, ruts and rocks on a ranch in the area. Ford had pumped water into a semi-dry creek bed so we had a good taste of mudding, too. My ride for that was the 2015 F-150 King Ranch SuperCrew 4×4 with the 3.5L EcoBoost V6. It was outstanding and I only wish that there had been time to do it several times more. I will need more time in an F-150 2.7L EcoBoost equipped truck to get a better sense of it, but if its EcoBoost DNA makes it anywhere near as capable as the 3.5L, with even better fuel efficiency, I will be amazingly impressed. For now, that 3.5L EcoBoost engine is my favorite and, when it comes to trucks, I am a tough critic. The new F-150 in all its iterations is roomier than its predecessor, too. On SuperCab models, the rear doors open a full 170-degrees for easy loading and unloading of passengers and cargo, and since they open flat to the vehicle the compartment is more accessible in parking lots or garages. Both the SuperCab and SuperCrew have a fully flat rear load floor which make a dramatic difference in comfort and cargo space and the 60/40 configuration folds with one hand. There is also a great optional hidden storage bin located under the seat that is worth an upcharge, although I would have liked to see it as standard. 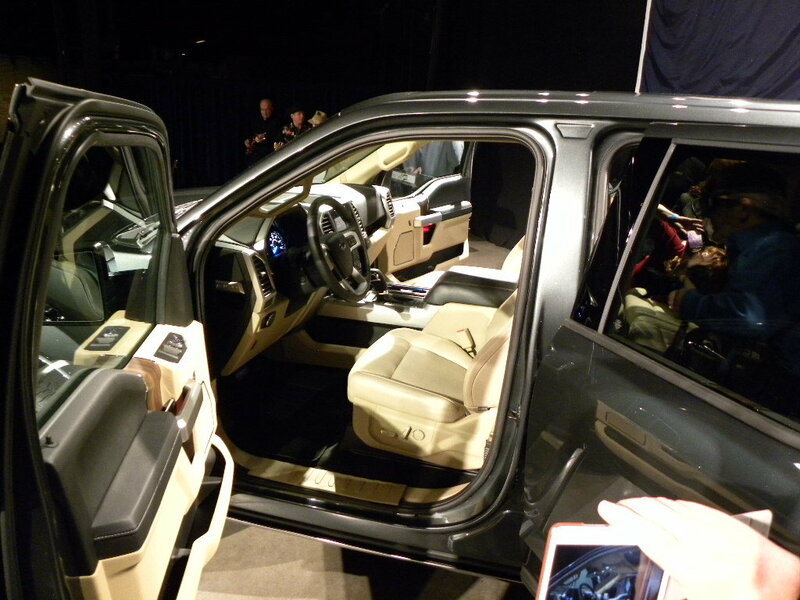 The redesigned interior is two-inches wider than the previous model with extra hip and shoulder room that you can feel. There is also more leg room for rear passengers. The signature drop-down on the front side windows is now lower for better visability and easier use of the armrest is deeper and more accessible. Other armrests are also improved. Buttons have been optimized for use when wearing gloves. Storage in the cab has also been improved with hidden laptop storage in the center console, a pull-out storage bin under the middle of the 40/20/40 front seats, which — by the way — have been ergonomically improved to meet the needs of a greater swath of the truck-owning population. I had an opportunity to drive with the ergonomics engineer who, with his team, worked on improving this truck and it is amazing the level of thought and testing that went into its improvements. Nothing was left untouched, but the F-150 DNA was left intact. Ford announced earlier this year that it would offer the F-150 in five trim levels including XL, XLT, Lariat, King Ranch and Platinum. They were all present and accounted for at the media drive and the good, better, best philosophy is at work here. Even the basic XL has lots of new features, and as the trim levels rise nothing is missed to create what Ford sees as the best combinations in the full-size truck category. In future articles I’ll detail each of the packages more fully, particularly the iconic King Ranch Edition. I rarely draw conclusions until I have driven a new vehicle for a full week, but I will go out on a limb with this one since our drive experience was so extensive. 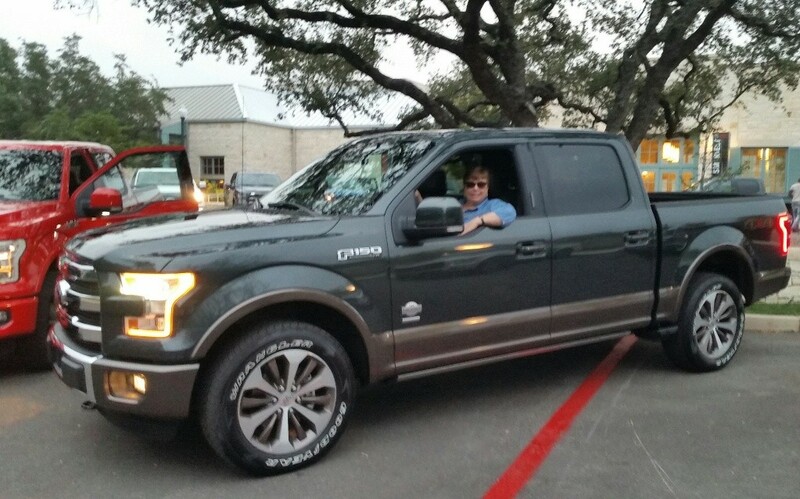 (I will also be driving the F-150 next week at the Texas Auto Writers Association Truck Rodeo where we name the trucks and SUVs of Texas.) So, here it goes. These trucks are measurably better than their predecessor in so many ways that they can hardly be compared. They are totally new rather than just a refresh. They are quieter, more comfortable and more capable. Everything has been thought through and every team involved from initial design and styling through manufacturing has delivered on their promise of a game changer. Since these are preproduction units, I will still have to get into production vehicles to do a better quality assessment (production vehicles are usually better than those we drive at these events), but I am impressed thus far. That said, I would like to see a diesel in the mix, if possible. 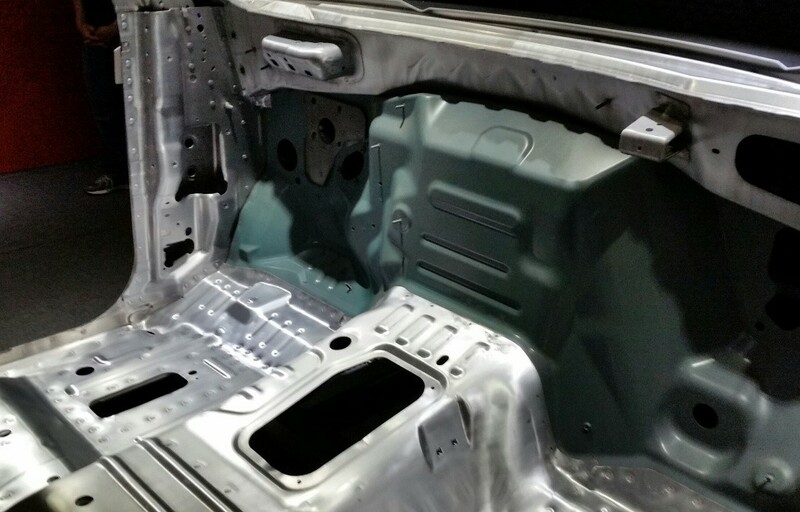 I would say, at this time, that the weight reduction and greater capacities enabled by the use of aluminum throughout the truck make the price increases justified. Comparing the 2015 F-150 with any other truck in its class could be an example of comparing apples and oranges at this time. The 2015 Ford F-150 will be in dealer showrooms in November, but you can go to the F-150 website and build your dream truck online now. As we get closer to a full release, I will be writing more about specific features, fuel economy numbers and driving experiences.